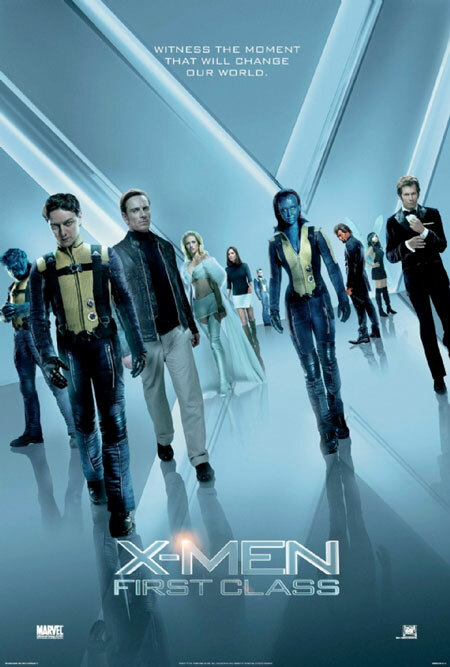 The latest film in the X-Men franchise takes Marvel’s mighty mutants back to their origins. How does X-Men: First Class shape up compared to the rest of the films in the series? Blake and Kenny give their impressions in this At the Movies mini-episode! Contact us with comments, suggestions, or anything else at Showcase@CXPulp.com! This entry was posted in At the Movies and tagged Bryan Singer, Edi Gathegi, James McAvoy, January Jones, Jason Flemyng, Jennifer Lawrence, Kevin Bacon, Lucas Till, Magneto, Matthew Vaughn, Michael Fassbender, Nicholas Hoult, Oliver Platt, Professor X, Rose Byrne, X-Men, X-Men: First Class, Zoe Kravtiz. Bookmark the permalink.